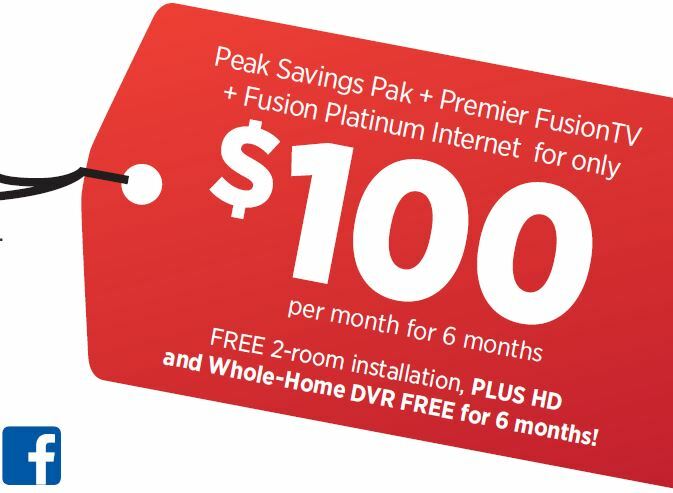 Bag a bundle for less — with Alpine’s Peak Savings Pak, Premier FusionTV and Fusion Platinum Internet! • Unlimited Internet with no data caps or overages! • Fusion Platinum Internet with speeds up to 20 Mbps download and 2 Mbps upload. • Premier FusionTV package with more than 240 digital channels including 60 in HD and 53 commercial-free music channels. • No signal loss during inclement weather. • Reliable home phone bundle with Caller ID, Voicemail to Email, Call Waiting and more. Call 563-245-4000 to order today! Certain restrictions apply. 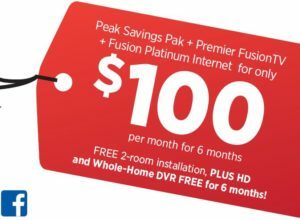 Offer valid through 6/30/16 for residential customers that subscribe to a Peak Savings Pak and applies to new FusionTV and/or Internet customers only. Alpine customers currently in an agreement are not eligible for new promotional rates. Discount will begin with first full month of billing. A 24-month agreement is required. After the promotional period, customer will be billed at regular rates. Early cancellation fees will apply to customers disconnecting services before the 24-month agreement is fulfilled. Prices and package components subject to change. Listed rates do not include taxes, surcharges, activation or other fees. Subject to credit approval. Limit one bundle per account. Additional equipment purchases may apply. To receive long distance plan rates, you must choose Alpine Long Distance, LLC as your IntraLATA and InterLATA toll carrier. You will be selecting Alpine Long Distance, LLC as your long distance carrier by selecting an Alpine bundle. Contact us for complete details.